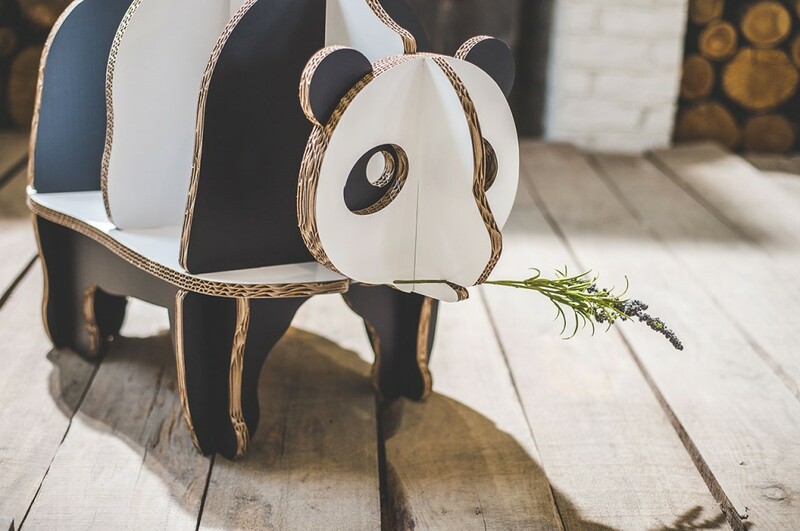 A little panda carrying the books. 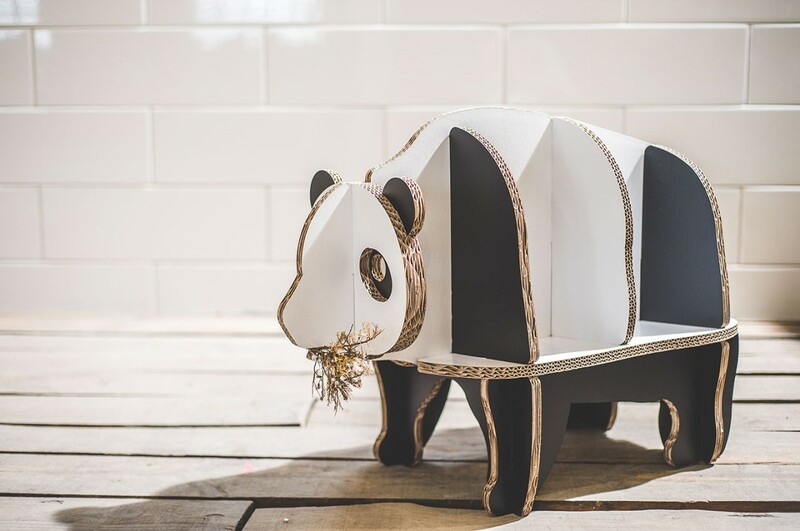 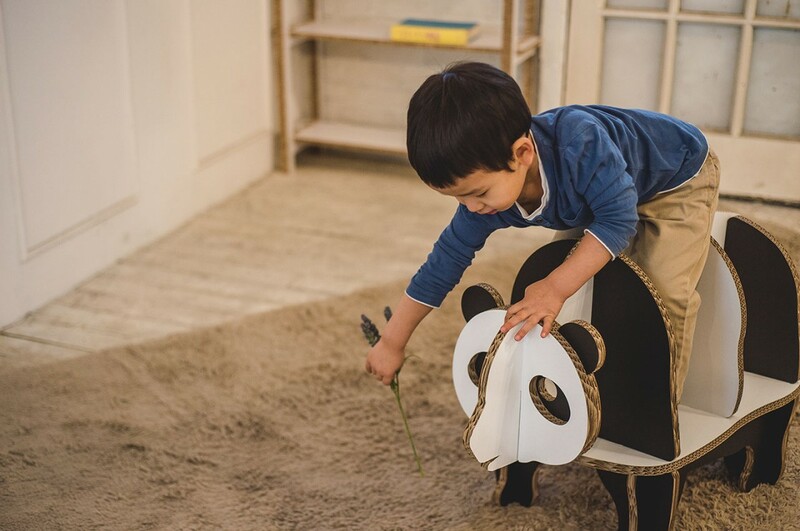 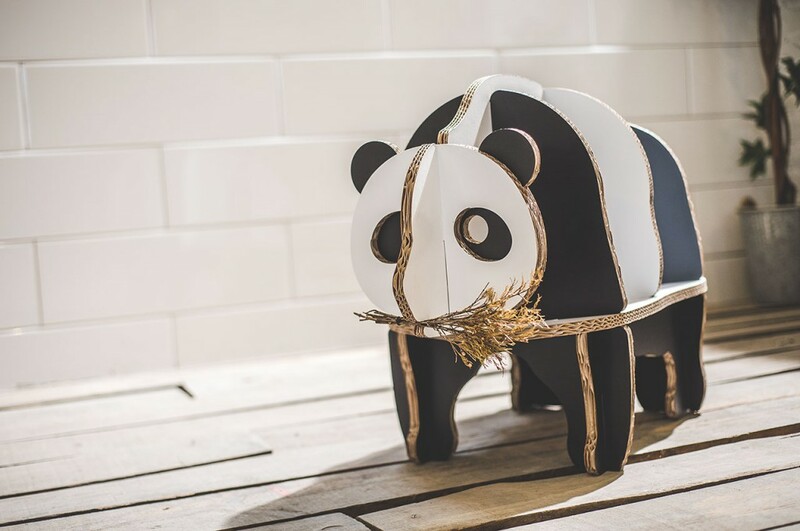 Panda bookshelf is made with Tri-wall corrugated cardboard for extra strength and durability. 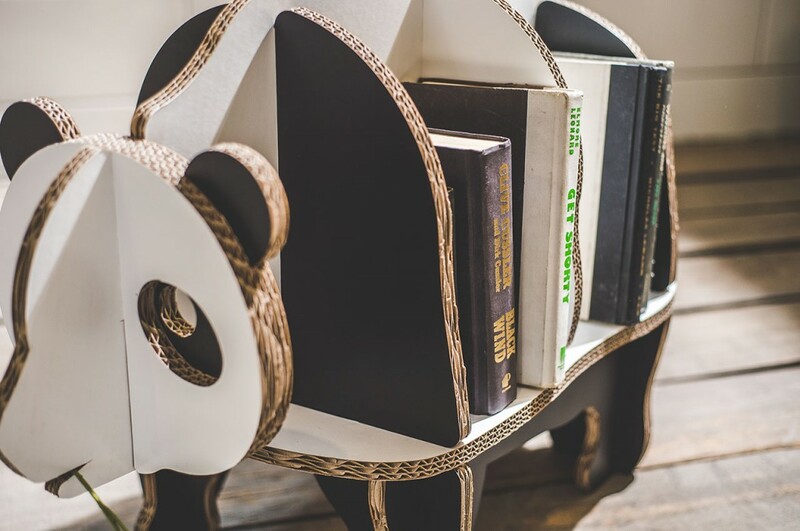 Its structure makes it easy to assemble and disassemble, and it is large enough to store 40-50 books.